Friendly, family run guest house situated 2 minutes from the town centre. Ideal base from which to explore Lakeland. 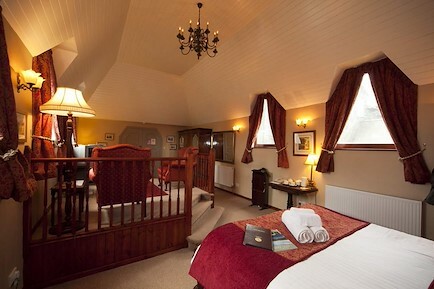 Warm, comfortable rooms and a superb full English breakfast at a sensible price. A vegetarian option is also available and continental breakfast or room only are offered at a reduced rate. We have lovely double, twin bedded and family rooms at Brun Lea, 6 of which are en suite. The 2 rooms which are not en suite have the use of 2 large bathrooms and 3 toilets, these are very close to both rooms on the same floor. Each room has a well stocked complimentary refreshments tray, radio alarm clock, hair dryer and colour television. We are on Stanger Street, 1 minute walk into the town centre and all the shops & pubs etc. Your enquiry will be sent directly to Brunlea Guest House. Please fill in as much detail as you can.